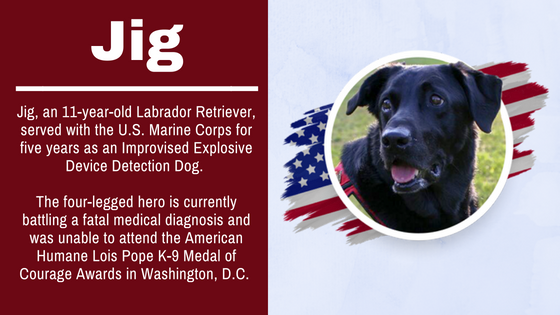 Last week, American Humane proudly recognized the heroism of five veterans in our nation’s capital. 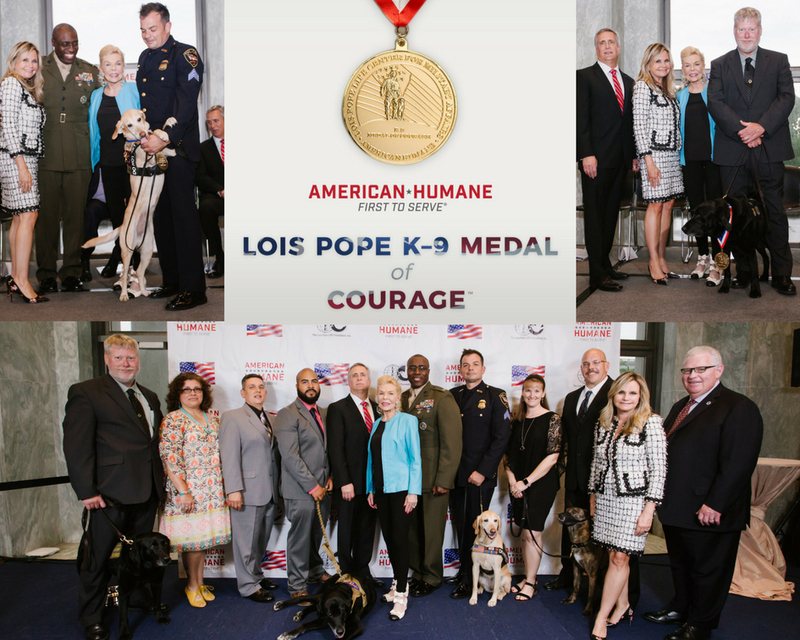 The honorees accepted their medals with a sniff, a pant, and a wag of their tails. 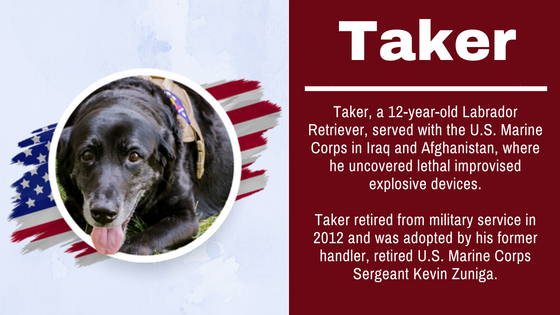 That’s right – the five veterans were retired military working dogs, and they were honored with the American Humane Lois Pope K-9 Medal of Courage, the nation’s highest honor for military dogs. 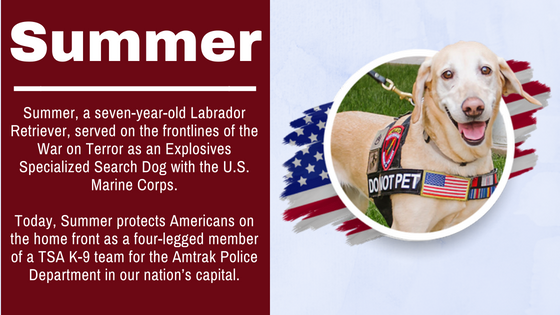 American Humane is proud to stand beside our armed forces and recognize the heroic contributions of military K-9s in protecting our troops. 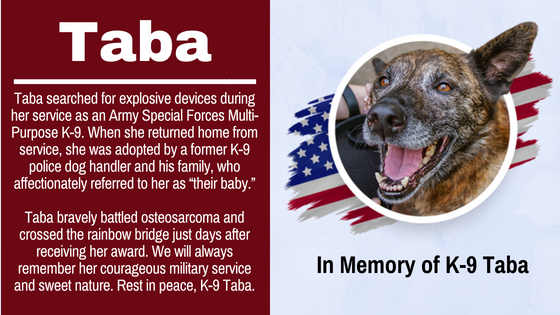 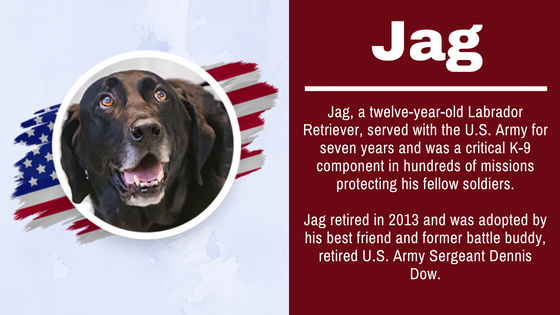 Thank you for your service, K-9s Jag, Summer, Taker, Jig, and Taba.